Steam inhalation is not effective in relieving symptoms of chronic sinus congestion, research from the University of Southampton has shown. The study, published in the CMAJ (Canadian Medical Association Journal), also showed that advice to use nasal irrigation, which is when the nasal cavity is washed to flush out mucus, did help relieve symptoms but had less impact than previous studies have shown. Millions of people a year suffer from chronic rhinosinusitis or sinus infections. To alleviate symptoms and as an alternative to the common treatment of antibiotics, which are often not effective and contribute to antibiotic resistance, steam inhalation and nasal irrigation are widely suggested. 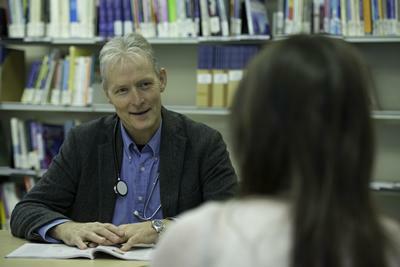 The research team, led by Paul Little, Professor of Primary Care Research at the University of Southampton, conducted a randomised controlled trial on the effectiveness of advice from primary care physicians to use nasal irrigation and steam inhalation for chronic sinusitis. The study involved 871 patients from 72 primary care practices in England who were randomised to groups to receive steam inhalation, saline nasal irrigation supported by an advice video, use both treatments techniques or to receive usual physician care. Patients who were instructed to use nasal irrigation showed improvement at three and six months as measured by the Rhinosinusitis Disabilty Index. Steam inhalation did not appear to alleviate sinusitis symptoms apart from reducing headaches. Given that the impact was less than in previous studies, which had used more intensive coaching in the use of nasal irrigation, the study suggest that further research is needed to understand how much coaching of patients is required.